Canada might soon have a brand new carrier looking to offer residents of Quebec and parts of Ottawa wireless service. Quebec-based regional carrier Videotron confirmed to MobileSyrup that it’s behind a new ‘Fizz’ flanker brand initiative. “We think life should be filled with good surprises, never sad ones,” reads an excerpt from the Fizz website. The carrier’s network is currently in beta for the next three months. Residents of Quebec and the Ottawa region can sign up to become beta testers. The website states that anyone interested in participating in the carrier’s beta program simply requires a mobile phone and a credit card. Beta testers will be able to port over their phone numbers or sign up for an entirely new number. 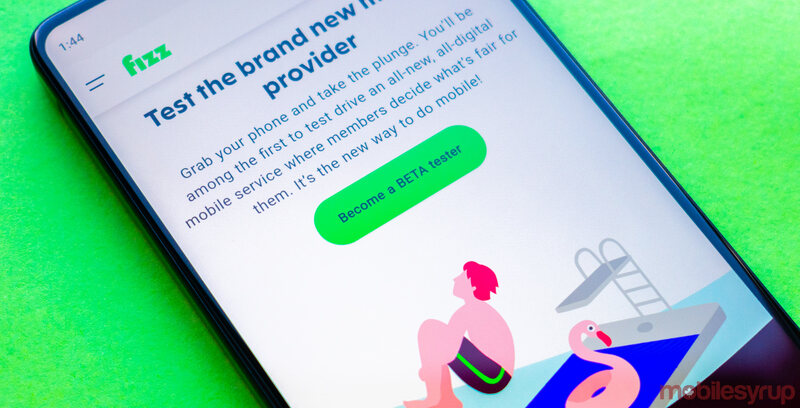 “With Fizz there are never any penalties for switching, but, to avoid surprise fees from your current provider you’ll want to double check your contract and balance with them before you start,” reads an excerpt from the Fizz website. The federal government’s Canadian Trademarks Database reveals that Fizz filed for a trademark on April 18th, 2018. The company’s trademark was formalized on April 24th, 2018. Fasken, a Montreal-based law firm, is listed as an interested party. For what it’s worth, the company does have a Facebook page, though the only activity so far is a September 12th, 2018 post that links back to the company’s website. MobileSyrup has submitted an application to participate in Fizz’s beta test program. This story will be updated with additional information, if any becomes available. If Fizz is actually able to provide the service it claims, it will face stiff competition from the Big Three’s existing low-cost, digital-only flanker brands. Rogers-owned Chatr Mobile, Telus-owned Public Mobile and Bell-owned Lucky Mobile all operate in Quebec City, Montreal and Ottawa. As such, any newcomer attempting to break into the market will serve as a direct competitor to the low-cost flanker brands maintained by Canada’s three largest carriers. Update 13/09/2018 2:40pm ET: Story updated to confirm that Videotron is behind Fizz.